The Poudre School District website was 10 years old. Serving 54 schools and over 30,000 students, it was bogged down with old information due to numerous web editors constantly adding and changing content over the years. This caused the site to no longer be user friendly, and a recent Drupal update meant the entire platform needed an upgrade from Drupal 7 to 8. 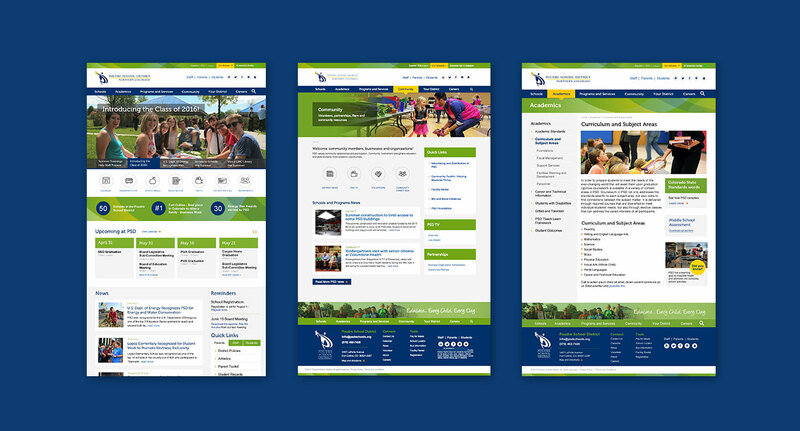 The website redesign needed to work for both current and prospective students, staff, community members, and parents. ZIV was chosen for the task of completely redesigning the site, curating the content, and modernizing the look. 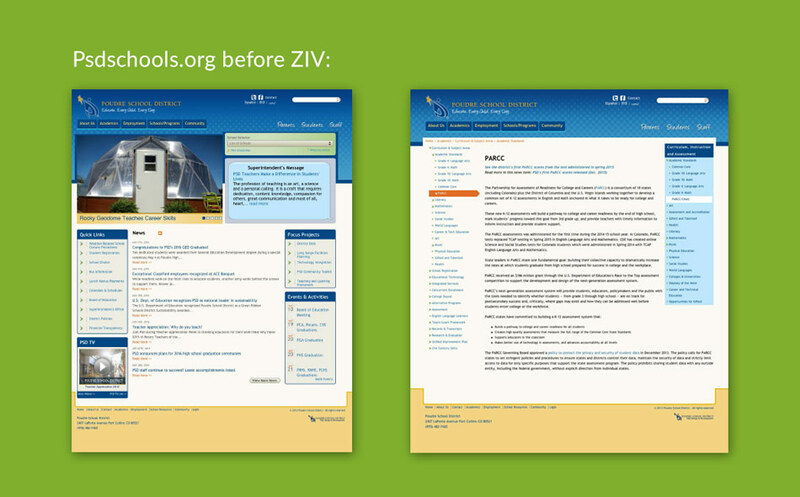 Several discovery sessions were held in order to understand the goals, issues, and ways ZIV could innovate the user experience of all who visited the site. With such a large site redesign it was imperative to include the input of district and community members in the design process. After initial discovery sessions, a functioning wireframe prototype was created. Focus groups were gathered for user testing to ensure the navigation, categories, and design were meeting needs. The result? A clean design and intuitive content access for every stakeholder. With an updated look, fresh image and header creation, and user centered navigation, Poudre School District’s cutting edge philosophies and practices are now better represented with their new website. With all the essential information placed into a modern user-friendly design, it’s a solution the entire community is excited about. Experience the new Poudre School District website for yourself! Are you ready to revolutionize your website’s user experience?